We have paired this rub with a couple of off the shelf barbecue sauces and plain. It seems to pair well with the sweeter sauces. We have used the rub for grilling and smoking. I smoked this rub with hickory and apple chips. Both we very successful. My next experiment with this rub is to add a barbecue sauce moping during the smoking process. 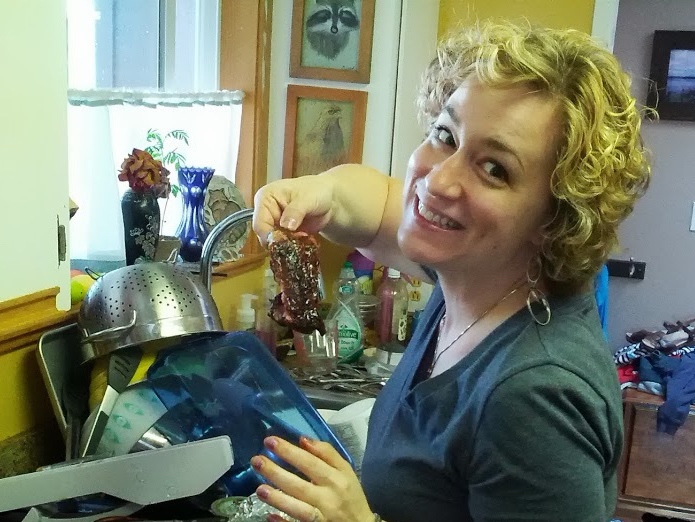 Below are some smoked ribs with the apple pie rub and my wife’s happy face.